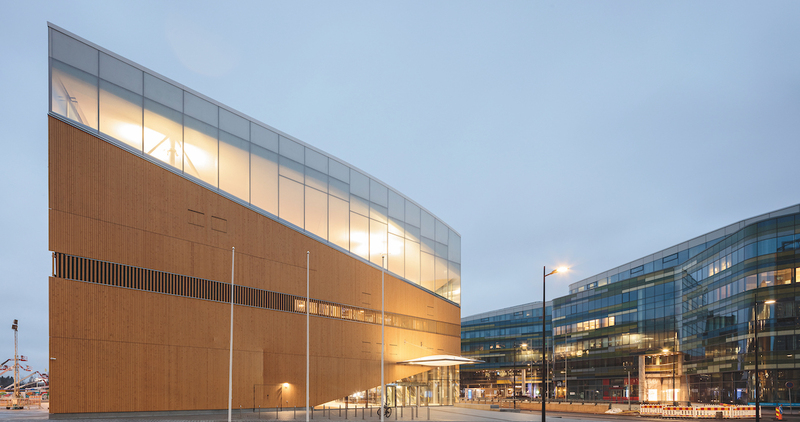 Helsinki welcomes the Oodi library designed by ALA Architects. 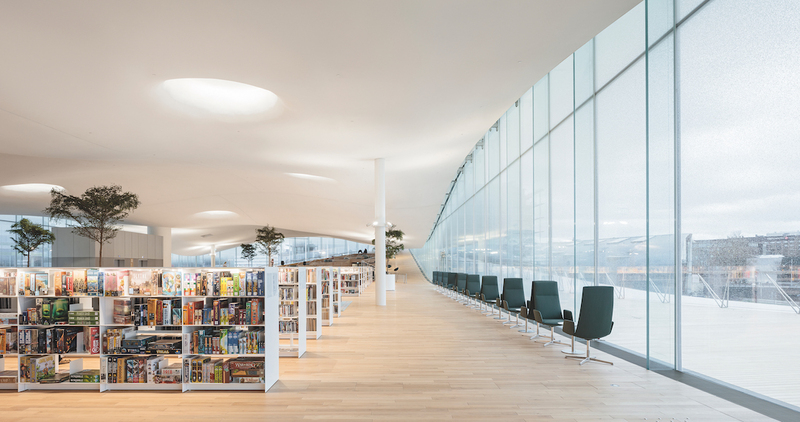 Known for its dedication to public spaces designed to cultivate social dialogue and critical engagement within its civic sphere, Finland is proud to welcome Oodi, a new library recently inaugurated in the heart of Helsinki and designed by the Finnish firm ALA Architect. The building, located in central Töölö, unfolds on three levels designed to interact with one another with the help of a collaboration with Arper’s furnishings. The first two floors feature multipurpose spaces, a cinema and workshop areas, while on the third floor you can find the library: a quiet area seemingly fluctuating over the lively city, just the perfect place to relax and have a break. ‘The building features elegant and supple lines. Its profile makes us think of long waves outlined on the horizon, a harmonious blend with nature. At once, it also conveys a strong architectural message embodied by the geometric shape of a rectangle stretching out, just as the arch of an arrow. We wanted the furniture to be in line with this language. Elegant and minimal shapes, precisely as the ones Arper collections express that integrate with the space and intensify their elements of style. These functional products can bear the intense use they are meant for; they are extremely versatile for the comfort of guests of all ages with varied needs. Flexible products that cater to the wishes that rapidly change over the day and depending on the areas; they are light and jolly to express the playful side of this project, whilst preserving its cultural value. Colors play an essential role as well. On the ground floor, black prevails, combined to natural colors and wood, thus strengthening the essential lines of the space concept, while the colors chosen for the library express a natural and harmonious feeling in a space where the boundary between inside and outside disappears’. Among the bookshelves, the trees and the break rooms, Arper collections interact with the surrounding architecture and blend in seamlessly with the different areas. This ever-changing space develops underneath the undulated ceiling on an equally irregular wooden surface, lit by skylights and the surrounding glass walls.